Some more rare Corfam rally bands from the 1960s/70s. These ladies bands came along with the Heuer Corfams that I have been selling here for the past 10 years. Fun gift for the wife or girlfriend to match her watch to your vintage Heuer Monaco, Heuer Carrera or Heuer Autavia on a Corfam. These ladies bands come in the same black or blue as the men’s Heuer Corfams. 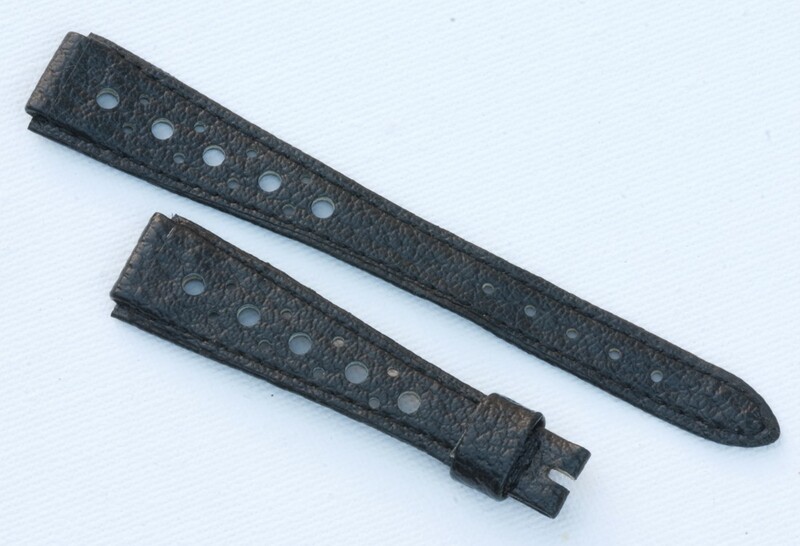 They have 12mm ends where the strap attaches, and the wider portion just before the ends is 16mm. Great style band to carry a larger chrono or dive watch so the band doesn't look too skinny. Brand new, never worn rare New Old Stock band. 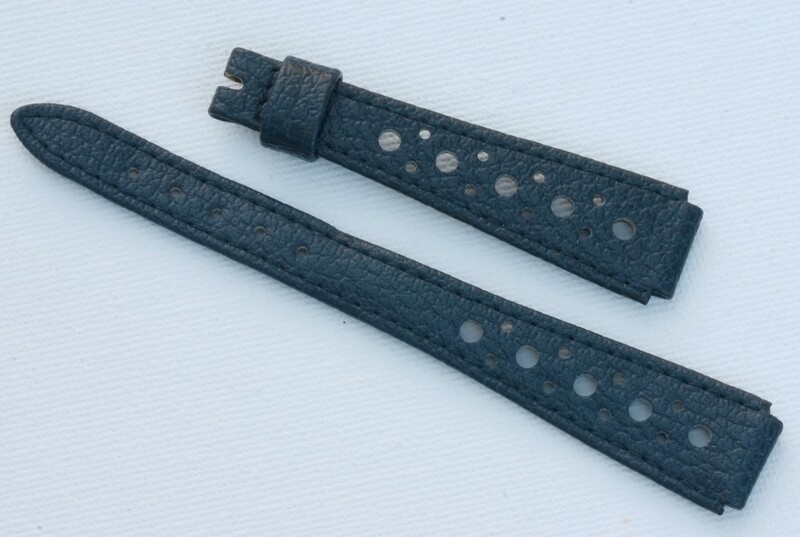 This strap would look great on 1960s/70s ladies watches from anything from a Seiko to an Omega. The band is completely unsigned as original Heuer bands were. 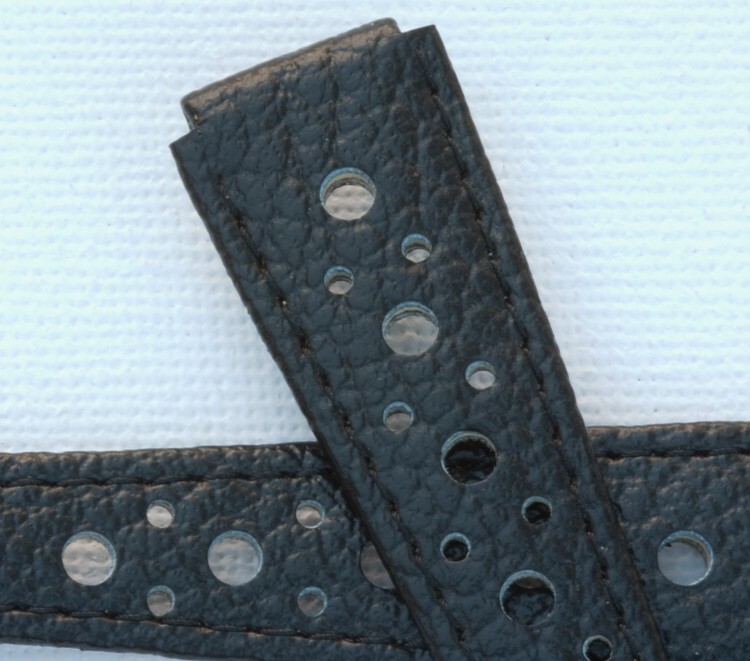 Takes a 10mm size buckle (I can fit a steel or yellow gold-colored one at no extra cost). 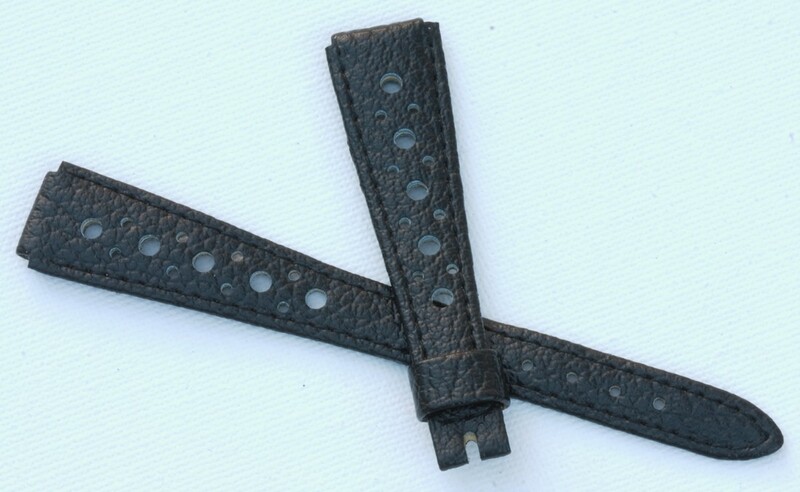 These straps are fully stitched for durability. In mint NOS condition. Length of 6 3/4 inches (17cm), measured with the ends placed together. Metric measurement is 107/65. 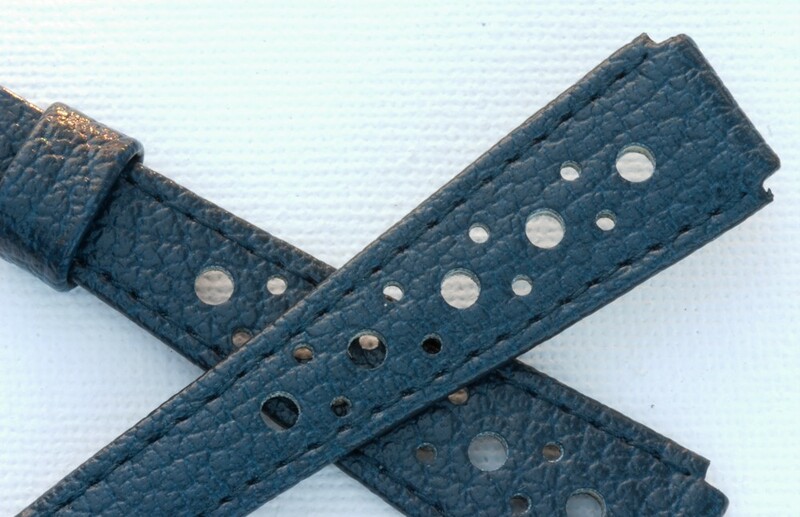 The thickness goes from 2mm at the tail to 3.5mm where the band meets the watch. SHIPPING: U.S. buyers add $5.99 for shipping with tracking. International buyers add $19.99 for shipping.